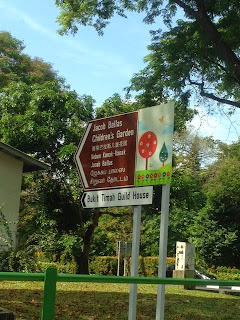 Fun at Jacob Ballas Children's Garden, Singapore Botanic Garden! We were supposed to be re-painting our house this weekend but didn't manage to do it ... so ended up at Jacob Ballas Children's Garden for a fun half day out! We were lucky and found parking at the Jacob Ballas Children's Garden car park. Alternatively, one could park at the NUS Bukit Timah Campus car park.